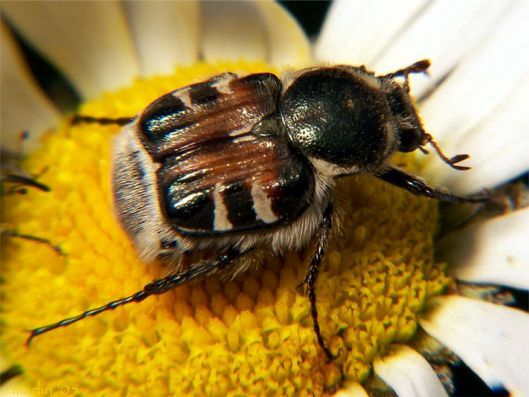 I think it is the Bee-like Flower Scarab, Trichiotinus piger (Fabricius), or a similar species (see photo). We have it here, but I don’t think it is very common. 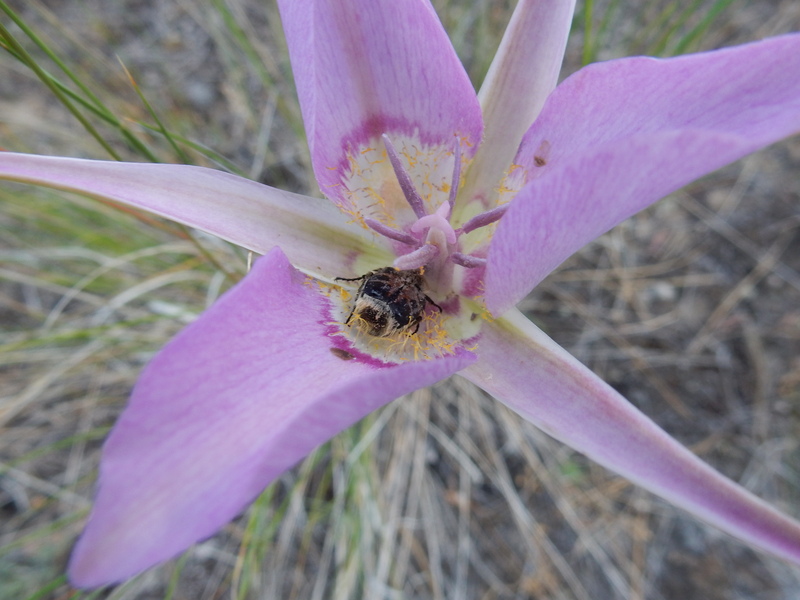 Feeds on pollen and soft flower parts during the day, so that fits.